Be a Tasty Cook – Win a Recipe Book! We are so excited to share a couple of recipes from brand new official cookbook from Buzzfeed’s popular global food channel TASTY and PROPER TASTY, which shares the best and most loved recipes of 2017, as voted by the public. There are over 80 mouth-watering recipes with staying power and we’ve got one copy to give away! Here are a couple of recipes to get you started extracted from Tasty: Latest and Greatest (Ebury Press, £14.99), photography by Lauren Volo. To win a copy just send an email titled ‘Tasty Competition UK’ to marketing@mynametags.com before 1st Feburary 2018. Full T&Cs below. Check out more of the mouthwatering cooking videos @buzzfeedtasty, @buzzfeedpropertasty PLEASE NOTE – THIS COMPETITION HAS NOW CLOSED. With a healthy dose of cayenne in both the marinade and the flour dredge, this sandwich packs the heat along with the crunch. 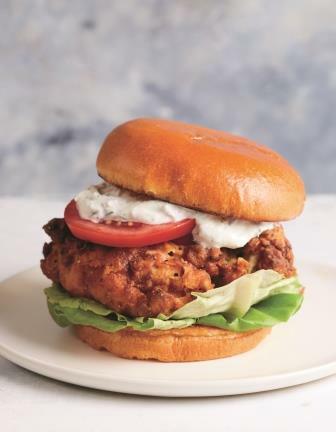 Just the juicy chicken fillet, piled onto a lettuce and tomato-lined bun would have been enough to amaze, but the dilly, lemony yogurt sauce puts this one over the top. 1 In a medium bowl, combine all the buttermilk marinade ingredients. Toss in the chicken thighs to coat. Marinate for at least 1 hour in the fridge, or overnight. 2 In a small bowl, combine all the ingredients for the dill dressing. Cover and let sit for at least 1 hour in the fridge to chill. 3 In a medium bowl, combine all ingredients for the seasoned flour. Dip the marinated chicken in the flour mixture until the chicken is completely covered. 4 Heat the oil to 180°C (350°F) in a deep pot. Do not fill more than half full with oil. Carefully fry the chicken for 7 minutes, or until cooked through. The internal temperature should reach 75°C (165°F), and the chicken should be golden brown and crispy. Drain on a paper towel-lined plate or wire rack. 5 Heat a large frying pan or skillet. Butter the cut sides of the burger buns, then toast on the hot pan until browned and crisp. Build the sandwiches with the toasted buns, lettuce, fried chicken, tomato slices and dill dressing. If you’ve never made a breakfast pastry, this would be a great first one to try. Because if a regular cinnamon roll is awesome, this one is the absolute best! 1 Generously butter a 25.5cm (10in) cast-iron frying pan, skillet, or cake tin (pan). mixture and mix with a wooden spoon until just combined. Cover the bowl with a towel or plastic wrap and set in a warm place to rise for 1 hour. the surface. Roll the dough out into a large rectangle, about 1cm (½in) thick. Fix corners to make sure they are sharp and even. 4 In a small bowl, combine the filling ingredients and stir to combine. Spread the filling mixture evenly over the rolled-out dough, spreading right to the edges. Using a pizza cutter, make 3 horizontal cuts to divide the dough into 4 long, evenly sized strips. Starting from the bottom, roll the first strip up right to left. Take the first roll and place it back on top of the next strip, starting again on the right side and rolling up right to left, building on the first. Continue with the remaining strips until you have a giant cinnamon roll. 5 Place the giant cinnamon roll in the prepared pan or cake tin (pan) and cover with plastic wrap. Place in a warm spot and leave to rise for 30 minutes. 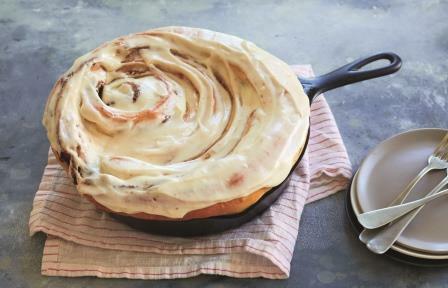 The cinnamon roll should expand to the edges of the pan during this time. 6 Preheat the oven to 160°C (325°F/gas 3). 7 Uncover the cinnamon roll and bake for 45 minutes. Cover the roll with foil to prevent the outside from burning, and bake for an additional 35 minutes. 8 While the cinnamon roll is baking, prepare the frosting. In a medium-sized mixing bowl, whisk together the cream cheese, butter, milk, vanilla, and icing (powdered) sugar until smooth. pan and drizzle the frosting over the roll before serving. – The winner shall be chosen at random on 2nd February 2018. – The winner shall be chosen at random. – My Nametags will contact the winner no more than 30 days after the competition closing date. 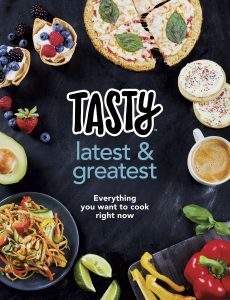 – The prize is one copy of Tasty: Latest and Greatest. January is the time of New Year resolutions and new beginnings. Hence, it is the perfect time to start a new fitness regime or reignite an old one. We thought you’d like to read all about the hottest fitness trends for 2018 as surveyed by The American College of Sports Medicine. (Don’t forget to label all your kit from trainers and yoga mats to water bottles and skipping ropes with our extremely versatile stickers which will stick on virtually anything). If you need to order some iron-on or stick-on nametags then you can design and order your own set here. High-intensity interval training has remained at the top of the pile as it is uber popular in gyms all over the world. HIIT usually involves short bursts such as 40 seconds of high-intensity exercise such as running on the spot followed by a short period of rest such as 10 seconds. Most HITT classes are 30-45 minutes or less. It’s very easy to do-it-yourself at home too using an app which times you. No matter what your fitness level, if you’re in need of extra motivation group training is the one to go for. Take your pick from aerobics and spinning to even dance classes. Group classes have been around for a long time but it was only in 2017 that group exercise training made the top 20. 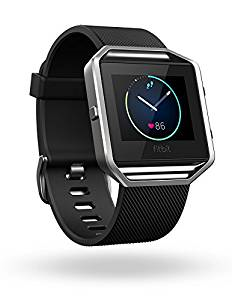 Coming in at number 3, wearable technology includes a whole host of items such as fitness trackers, smartwatches, heart rate monitors GPS tracking devices, and smart eyeglasses (designed to show maps and track activity) that were introduced only a few years ago. Wear one of these devices and take your fitness up a notch! – Misfit, Apple iWatch, Garmin, EFOSMH, Pebble Time, Juboury, Samsung, Basis, Jawbone, and Fitbit. Take your pick! Body weight training appeared for the first time in the survey in 2013 and was in number 2 position for 2017. Although body weight or resistance training has been around for centuries, health clubs and gyms have made it popular around the world. 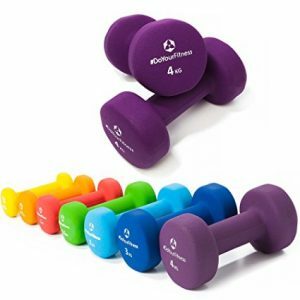 It’s a very inexpensive way to exercise as most programs require minimal equipment. Strength training continues to be extremely popular in all areas of the health and fitness industry. Weight training has become more widely used than ever with men and women both young and old using them to improve or maintain strength. As more and more health and fitness professionals become certified it is easier to find someone who can help you get fit. Do your research and choose the person with the right training. Yoga has edged up the rankings to 7 from 8 in 2017. There are so many different types to choose from – Power Yoga, Yogalates, Bikram Yoga to name a few. The sustained popularity of yoga seems to be that it reinvents and refreshes itself every year making it an attractive form of exercise, says the ACSM. More and more students are studying kinesiology suggesting that they’re preparing to move into the world of personal training. If you’re the type of person that needs motivating then one-to-one coaching is the one for you. With the baby boomers retiring there is a growing market of older adults who are retiring healthier than other generations. Health professionals are creating age-appropriate classes to keep older adults healthy and active. Fitness programs designed to complement your everyday life is important. It’s not just about looking good in your clothes, it’s functional – can you run after that child if they’re heading towards the road. Functional fitness trains your muscles to improve all aspects of everyday living including core strength, stability and balance. We had to let you know that we’ve got seven new sports icons for you! You can decorate your trainers, boot bags and even footballs and make sure they don’t get lost! Take your pick from general sports sportsman or sportswoman icons to ballet shoes, ice-skating or even fencing! We think your little ones will love these sporty icons. Pick either a boy or girl running with a ball, choose a typeface, colour and background and you are ready to go! Ice-skaters, whether it’s a regular thing or just occasionally will love the new My Nametags ice-skating boot icon. Our stickers will truly stick on anything from your boots to socks and jumpers. Maybe martial arts is your thing? Karate, Taekwondo or Judo. We think this martial arts uniform with a black belt will do the trick. We’ve added these gorgeous ballet shoes which we think will any fans of dance will love. Use them to stick inside your ballet shoes, on your ballet bag or even on the care label on your leotard. Badminton, as we know it today, was first played in the mid-19th century and it was first played at the Olympics in 1992. Don’t forget to label your racket, water bottle and shuttlecocks! Or perhaps fencing is your thing? Did you know that the sword is actually called a ‘foil’? And that fencing has been played at every Olympic Games since 1896? My Nametags are delighted to have been announced as a runner-up in Google’s “MSMEs Going Global Video Competition”. The competition was launched in partnership with The World Trade Organisation and The International Chamber of Commerce to highlight the importance of internet technology in developing our business. We have now sold our labels to 127 countries across the world from our base of eight, country specific websites. Google’s competition attracted participants from all across the world, from the United States to Mauritius. Entrants included brands dealing in fashion, fruit and even banjos!